Medical College Admission test for academic session 2015-2016 will be held on 18th September, 2015. The admission test is usually taken at the same time through the whole country. Every year a good number of students take part in the admission test to secure their respective seats in the medical and dental colleges. This year approximately 70000 students will be competing against 3,694 seats. The admission test will be taken at 32 centers in medical colleges and 1 center in dental college all over the country. Medical admission seat plan has already been published as there is a very short time left for the admission test. Students can download Dhaka Medical Admission Unit seat plan, Khulna Medical Admission unit seat plan and all other medical college’s seat plans from the official website of medical college. Download Medical College Admission Seat Plan 2015. Medical College Admission Seat Plan Can be downloaded from the official website. Students who will be appearing in the admission test on 18th September must download the admission test admit card and take it with him/her during the admission test. Applicants can download their admission test admit card from the teletalk official website using their applicant id and password. There is a very short time left for the Medical college admission test. Students are taking their last stage preparation. At this time Medical College Admission Question Paper Solution with Answer Sheet can be helpful to secure their seats in any of the medical colleges. Medical College Admission Question Paper Solution and answer sheet can be downloaded from different websites. 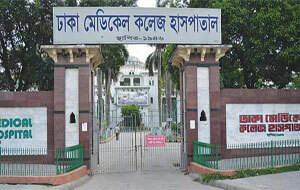 All Medical Colleges including Dhaka Medical College Admission Result will be published within a week after the admission test.